When Derek Mault turned to Boiler Guide for quotes to fit a new boiler, not only did he get the job done to his satisfaction, but in doing so has just become the lucky recipient of a £100 Amazon gift certificate. Back in October, Mr Mault from Oakham, Leicestershire, asked Boiler Guide to provide three quotes from heating engineers to fit and install a new central heating boiler. As part of the process, he was given the opportunity to leave feedback for the company he selected to undertake the work. In doing so, his name was entered into the Boiler Guide prize draw – a competition which takes place every six months. “I found the company (Multi-Heat) very professional in their knowledge of central heating which gave me confidence in their ability to do a professional and thorough job,” commented Mr Mault. Boiler Guide has established itself as the UK’s leading online resource of boiler and central heating installers. 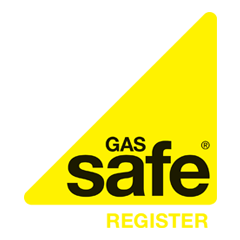 For homeowners looking for free quotes to install a brand new energy efficient boiler, Boiler Guide can source up to three quotes from recommended Gas Safe Registered installers and heating engineers. Founder of Boiler Guide, David Holmes said: “Here at Boiler Guide we pride ourselves on being able to put customers in touch with recommended boiler installers. Thanks to our feedback system, we are able to maintain the highest standards when it comes to customer satisfaction. *Only customers who go on to instruct the services of a Boiler Guide heating engineer and leave feedback will be entered into the prize draw.